Rajib Saha, assistant professor of chemical and biomolecular engineering. 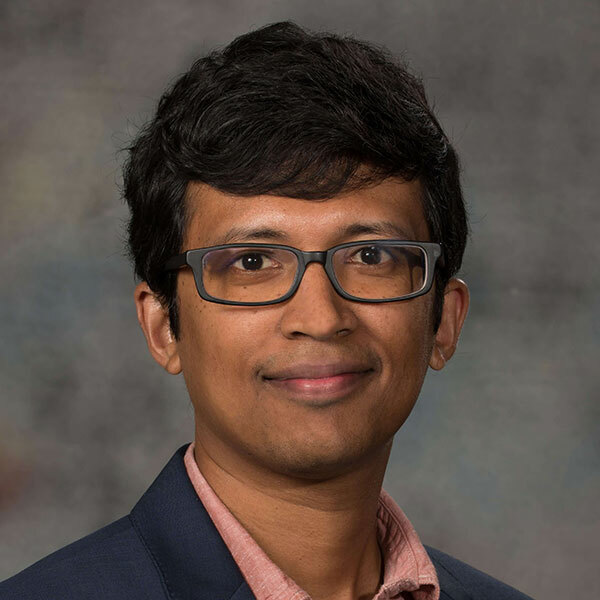 Rajib Saha, assistant professor of chemical and biomolecular engineering, and a group of Nebraska researchers are working to understand how plants produce their own means of defending themselves against pathogens, predators and the environment and hope to use that information to develop more vigorous food crops. Saha is a co-principal investigator on the project, “Dissecting the Sphingolipid Metabolic and Regulatory Network,” which is funded by a three-year National Science Foundation grant. Edgar Cahoon, professor of biochemistry, is the principal investigator. Currently, scientists know that sphingolipids are the most abundant lipid component in the membrane that surrounds plant cells and separates the cell from its surrounding environment. These sphingolipids are vital for the plant’s ability to survive variable growth conditions, such as drought and freezing, and to fight off infection from pathogens and bacteria. What isn’t known is how plants regulate the amount of sphingolipids that a plant needs for optimal growth – too little produced and the plant’s cells will not grow; too much produced can trigger cell death. Saha’s work on the project is creating a computer model that will predict how a plant will regulate the production of sphingolipids in response to environmental conditions. “These molecules are important, but nobody knows exactly why they are important and how and why they are doing what they are doing,” Saha said. “Creating all the different stresses – pathogens, floods, salt, temperature, bacteria – in a lab environment isn’t always realistic. My job is to build a model of this system and figure out how that thing is being regulated within the plant. Growing up in Bangladesh and now living in Nebraska, Saha knows the importance of having crops that can succeed in vastly different environments. In Bangladesh, which is smaller in size than Nebraska, many varieties and strains of rice are needed because of unique climatic conditions in different regions of the country – there are long rainy seasons in the south and long, dry spells in the northeast. Nebraska’s climate can range from bitterly cold and windy in the winter to hot, rainy and humid in the summer, creating a need for plants that can adapt quickly. The project will also have an academic component that Saha said will provide opportunities for high school-age students to gain experience through an existing EPSCoR summer program.